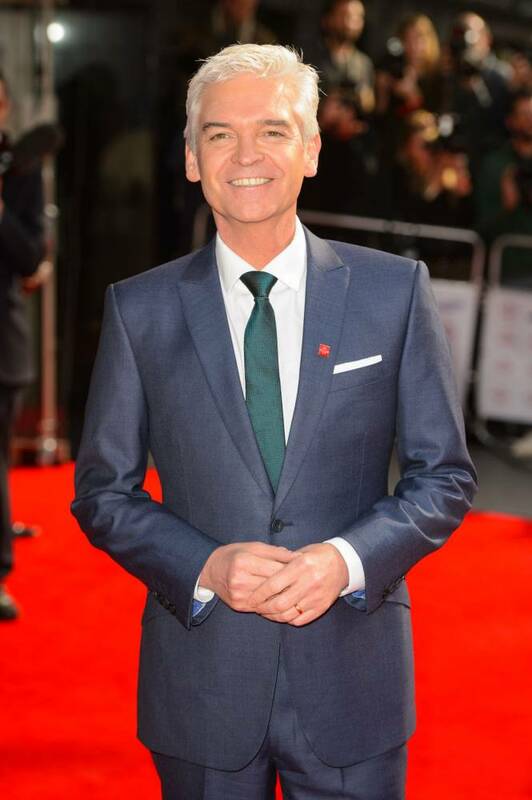 Phillip Schofield from ITV’s This Morning show is about to make history for ITV. He’ll be hosting the entire network for 24 full hours (less toilet breaks of course) on none other than Christmas Day 2014. He say s he’s up for the challenge and is looking forward to it. We are wondering how is family allows him to do this on such a family-oriented day but hey are right behind him all the way. If you’re not a fan of Phillip Schofield, you might not want to tune into ITV on December 1 – because he’ll be on there for 24 hours non-stop. The This Morning presenter is taking on the challenge, during which he’ll only be allowed to pause for toilet breaks, to raise cash for the broadcaster’s charity telethon Text Santa. Schofield, 52, will start his mission during This Morning on December 1 and will continue for the 24 hour period covering a range of shows and channels. ‘The details are still being worked out but Phillip will be on screen live for 24 hours non-stop — minus toilet breaks,’ an insider told The Sun. The closest a British presenter has come to such a feat would be David Dimbleby’s coverage of the 2010 general election results in which he presented for a straight 18 hours. Philip Schofield will be hosting ITV for 24 hours non-stop on Christmas day this year (2014) and I’m going to specifically tune in to see how he fairs toward the end of the day… will he show wear and tear? Will his humor slip? Or will he go all the way with flying colours? We’ll have to wait and see, but Philip says he’s ready and his fans will not be disappointed. It’s a bold move for ITV but they believe he’ll attract more viewers than without him.